Home / Whole Nursery / Baby Shark! 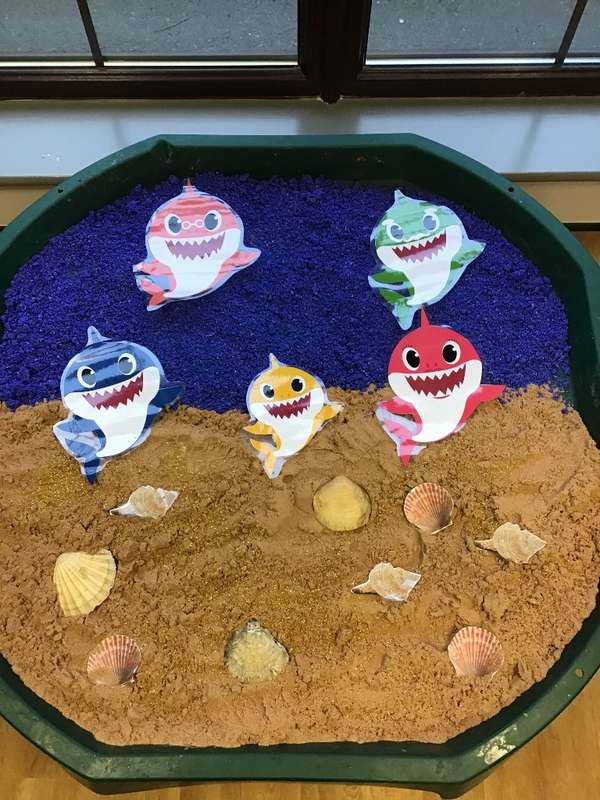 Our Butterfly children have been exploring a baby shark themed small world tray to further their interest in the song. They have experienced different textures with sand, coloured rice and coloured spaghetti.